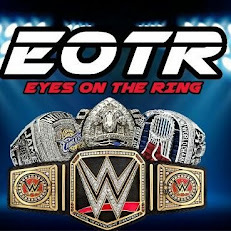 Survivor Series is almost here and you can bet we are excited here at EOTR. The card looks solid and is building up well, so we wanted to do something different. 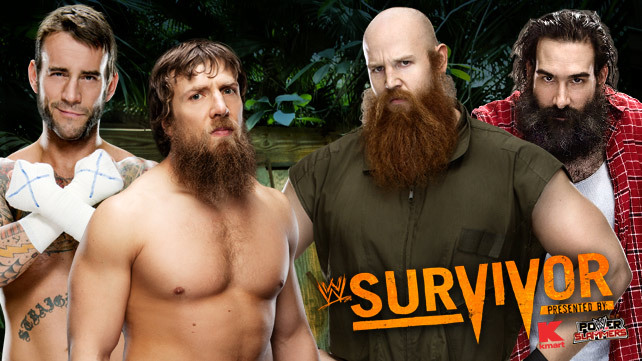 We wanted to look at 5 tag team matches at Survivor Series. Not the 5 on 5 or the 4 on 4, but matches that feature two man teams over the years. Let's take a look at 5 interesting tag matches at the November event. -As the Hardy Boyz were starting to tease a breakup, they would end up going into Survivor Series looking to unify the tag titles and put the WWF on top over the WCW/ECW Alliance. This was a tag team steel cage match that got out of hand, and had great action throughout. However, after Matt made it out of the cage for his team, it was up to Jeff to do the same. Jeff would make it to the top and be right there, but made the mistake of wanting the big moment and would end up costing them the match and the titles. This would set for a possible breakup of the team that just never happened, though a one off match occurred. -One of the most famous tag team main events in the history of the event, this was the first match for The Rock since 2004. 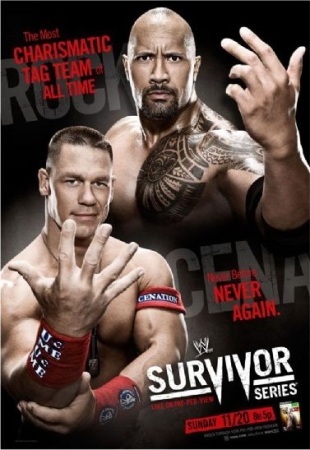 Almost 8 years removed from his last match, Rock would team with his Wrestlemania 28 nemesis John Cena to take on The Miz and R-Truth in what turned out to be a pretty decent match. Rock doesn't do much of the heavy lifting in the match, but he would take a few bumps and win the match for his team with a big People's Elbow and then lay Cena out with a Rock Bottom to close out the night. -A heavily promoted tag team match that didn't go the way we expected. Initially, Savage was supposed to team with the Ultimate Warrior, but as we know, Warrior didn't make it to this match and would not be heard from again on WWF TV for quite sometime. Mr. Perfect would replace Warrior, which worked out better in the long run, as Razor was getting a small heel push and Flair was continuing his subpar heel run in the company. 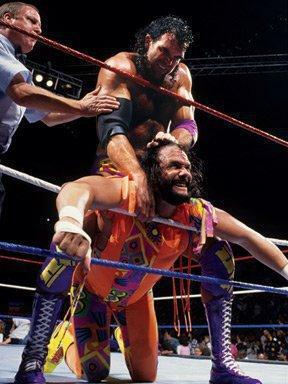 This match is actually solid, but the result is a bit underwhelming, as Razor and Flair got DQed and lost. I would have preferred Razor to take the pin after a Savage elbow drop, but as expected, this was an indecisive finish and I'll attribute that to the fact that Warrior was replaced. Still, this was a solid contest. 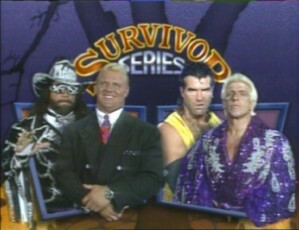 -This is the greatest tag team match in Survivor Series history. It's one of the best tag team matches of the Ruthless Aggression era. When you take the members of the Smackdown Six and put them together with the tag titles on the line, you're bound to get greatness. Greatness is exactly how I would describe this match as all three teams gave their all in this triple threat elimination match. Angle and Benoit were eliminated first in a shocking turn of events, but Los Guerreros managed to hold on and win this match. It was a great culmination to the month long battles between both teams and this was the perfect ending and a classic match at the greatest Survivor Series event. -Of all the tag team matches, this is the most forgettable one on the list for one glaring reason: Bray Wyatt didn't wrestle. Punk and Bryan were teaming together and that was amazing, but what made it so interesting was that they were battling the much bigger and brutal Harper and Rowan. Of course, Punk and Bryan would end up winning this contest, but it's surprising that we didn't get the anticipated Punk vs Wyatt and Bryan vs Wyatt battle, which made this match a little underwhelming, but still enjoyable nonetheless.